Email beshipshape@gmail.com or use the form at the bottom of this page. Call Angie Hyche at 423-567-4273 or Laurie Harvey at 423-707-0700. Follow Shipshape Solutions on Facebook. Follow Shipshape Solutions on LinkedIn. Follow Shipshape Solutions on Pinterest. 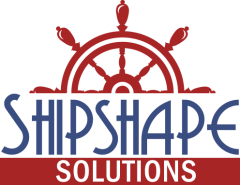 Subscribe to the Shipshape Solutions blog on the right side of the page here. Another way of sending email to Shipshape Solutions is to use the convenient form below.